The European Championship start on Friday(June the 10th) in St Denis, a Parisian suburb just a few metro stations from the Champs Elysées. The Stade de France will be full of noisy supporters, some of them still scared by last November’s terrorist attacks, but hopeful to turn a new page and start another beginning. These memories they may be unnoticed, drowned in the colourful crowd, but the security people and the bite of marks on a lamppost, the impressions of nuts and bolts nearby on the corner of the Impasse de la Cokerie tell a different story. One dead, a hundred wounded, families still suffering, victims of the deadliest terrorist attack in France, since World War II. 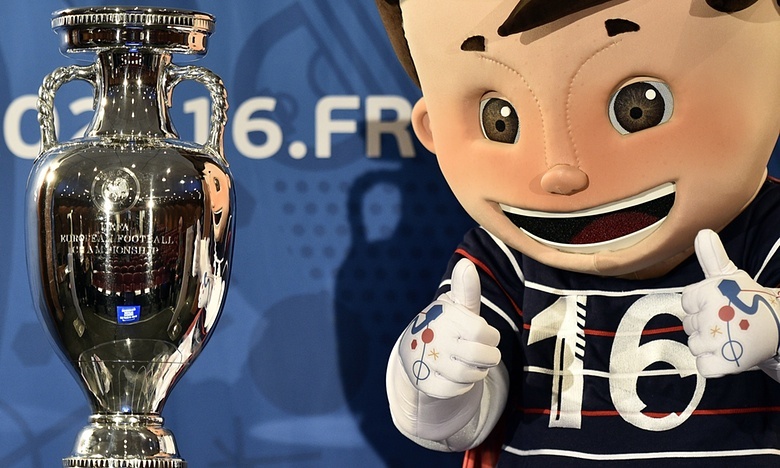 France will face Romania and the hosts are well aware that it won’t be easy. The french defense, already fragile, has suffered another big blow; Jerémy Mathieu, Raphaël Varane left the training camp injured and the physio’s room list is just impressive: Benoît Trémoulinas, Kurt Zouma, Aymeric Laporte, Mamadou Sakho,(the latter not picked because of his initial doping suspension) So there will be no true stopper to play alongside of Arsenal’s Laurent Konscielny; Adil Rami, a last minute choice, played with France 3 years ago but his performance against Cameroon, wasn’t convincing at all. Eliaquim Mangala, could be a solution even if it’s known that he never was manager’s Didier Deschamps first choice. Experienced Bacary Sagna and Patrice Evra should be France’s full backs while Leicester’s N’ Golo Kanté with Paul Pogba and Blaise Matuidi will form one of the best midfield in Europe. The absence of Karim Benzema, personna non grata for his alleged role in the “sextape” affair and Mathieu Valbuena’s lack of form, forced Deschamps to put his faith in the young ones; Antoine Griezmann, Kingsley Coman, Anthony Marcial plus the 29th year-old Dimitri Payet up front just behind Arsenal’s Olivier Giroud or the “Mexican” forward André-Pierre Gignac. The team will be captained by Tottenham’s skipper, Hugo Lloris. While France’s attack is very prolific one, Romania boast one of stingiest qualification defenses; they conceded only two goals in ten games. Manager Anghel Iordanescu will try the same method vs the host nation, a method that gave good results with his disciplined 4-2-3-1 system. Vlad Chiriches former Tottenham’s man but now at Napoli will take the centre with Dragos Grigore, while Cosmin Moti and Valencia Gaman will provide a back-up. The defensive midfield should be Ovidiu Hoban, Mihai Pintili, both of them good defenders but poor on counter-attack. It won’t be easy for the Romanian manager to form the three- man line behind the centre forward not when his team play against a team like France.Steaua’s Adrian Popa, Udinese’s Gabriel Torje and Bogdan Stancu are likely to start, but there are rumors about Popa’s being injured. There’s also Steaua’s new shining star, Nicolae Stanciu, aged 23 playing number 10: excellent dribbling and passing but also good on free-kicks. Fiorentina’s Ciprian Tatarusanu, will be on goal. Romania will be captained by former Totteham flop Vlad Chiriches; he found a new life in Napoli and his patnership with Dragos Grigore has been the rock of the Romanian defense. He will play against his former club captain Hugo Lloris and one can expect that Romania’s skipper will want to erase some bad memories. The game will be played under Police and Special Forces surveillance. ‹ EURO 16 : Les Irrésistibles Français, le 12ème Homme des Bleus.